This article is about the region. For the city, see Shalgora (city). Shalgora is a county on the southeastern coast of High Rock, in the Iliac Bay area. 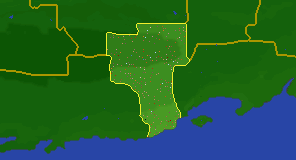 It shares borders with Daenia and Anticlere to the north, Daggerfall in the south, and Ilessan Hills in the west. Its capital is the city of Shalgora. The Haarvenu clan is the predominant vampire bloodline in the region, and the national deity is Arkay. The region is home to The Daggerfall Witches and the Daggerfall Coven can be found here. This page was last modified on 24 March 2018, at 07:06.